A regular skin check will put your mind at rest. When it comes to skin cancer, early diagnosis is your best form of defence. A regular skin check will put your mind at rest, enabling you to get on with life without any niggling doubts. 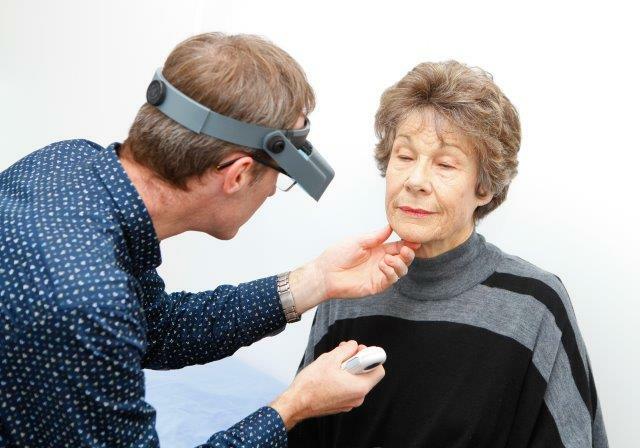 Your Skin Check will be carried out by Dr Ben Tallon, one of NZ's foremost authorities in the diagnosis of Skin Cancer. Qualified in both Dermatology and Dermatopathology (the science of reading skin samples under a microscope) Ben will personally check possible tumours both on the skin, and if necessary, as a sample under the microscope. This continuity provides the most accurate possible representation, and a diagnosis in which you can have complete confidence. As a consultant for Pathlab Tauranga and Waikato, and Medlab Auckland, Ben has guided the diagnosis of thousands of patients so you know you’re in good hands. Is a Skin Check the same as a Mole Map? No. Mole mapping involves taking specialised photographs to create a “map” of the skin. It is carried out by a Melanographer (nurse trained in skin cancer and dermoscopic imaging) rather than a Dermatologist. Suspicious looking lesions are recorded and digital images are forwarded to Specialist Dermatologists for diagnosis. A Skin Check at SKIN involves a systematic assessment of each different part of your skin by Dr Tallon. The process is managed very modestly – we’ll give you one of our stylish gowns and examine you in stages; arm, leg, scalp, back etc. The examination is surprisingly quick, and has the advantage of allowing Dr Tallon to analyse any lesions or tumours first-hand rather than via images. What’s the difference between Dermoscopy and Dermatopathology? Dermoscopy involves assessing the skin for skin cancer using a dermatoscope (a special surface microscope). During your Skin Check, Ben may use a dermatoscope to assess any suspicious looking lesions or moles. This enables him to view structures beneath the skin surface providing a more accurate diagnosis. If he is still concerned about the tumour, Ben will take a sample and examine it as a slide under a microscope. This stage is known as Dermatopathology and provides the most accurate form of diagnosis available.